Jalen Collins has not played in an NFL game since Super Bowl LI, seeing suspensions hijack his career. But the embattled cornerback landed on the Colts’ practice squad earlier this season. He may have a chance to suit up again. The Colts made the decision to promote the former second-round pick from their practice squad Saturday. With five corners on their roster going into a win-or-go-home game against the Titans on Sunday night, the Colts have backup Nate Hairston listed as questionable. Collins provides insurance. The Falcons waived Collins earlier this year. He served 10-game suspensions for violating the NFL’s PED policy the past two years. Atlanta did not activate Collins after his 2017 ban ended and did not bother keeping him around during his 10-game hiatus this year. 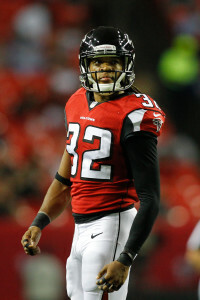 Collins made two starts for Atlanta during the 2016 regular season, intercepting two passes, and started in each of the team’s three playoff games that year. Free agent cornerback Jalen Collins was reinstated by the NFL earlier today after serving a 10-game suspension, and he’s already landed an audition. Collins worked out for the Colts on Wednesday, tweets Field Yates of ESPN.com. Indianapolis also looked at fellow defensive back Dontae Johnson, per Howard Balzer (Twitter link). Collins has already faced multiple league-imposed bans during his brief NFL career, and his most recent 10-game suspension was actually his second of that length. While Collins’ previous bans were reportedly due to performance-enhancing drug use, it’s unclear what caused his latest suspension. However, as Matt Miller of Bleacher Report notes (via Twitter), Colts general manager Chris Ballard has never been afraid to target players with off-field issues. Still only 25 years old, Collins flashed potential in parts of two seasons with the Falcons (2015-16). A former second-round pick, Collins started eight games for the Falcons and played in 24. He also started all three of Atlanta’s games in the 2016 playoffs, including Super Bowl LI. Johnson, 26, spent four seasons (including one as a starter) with the 49ers before latching on with the Bills earlier this year. He played in only one game with Buffalo before being cut, but he’s hit the workout circuit since, auditioning for the Lions, Browns, and Dolphins. Jalen Collins has not played in a regular-season game since the 2016 season, and he’s now without a team. He was reported to be facing another suspension, and now some clarity has emerged on that front. The NFL suspended the free agent cornerback 10 games, Field Yates of ESPN.com reports (on Twitter). This will mark the second straight season that’s involved a 10-game Collins ban. Following the conclusion of Collins’ most recent 10-game suspension, the Falcons did not activate him and ended up waiving him. He went unclaimed in November, and this figures to decrease his chances of landing with a team in the near future. 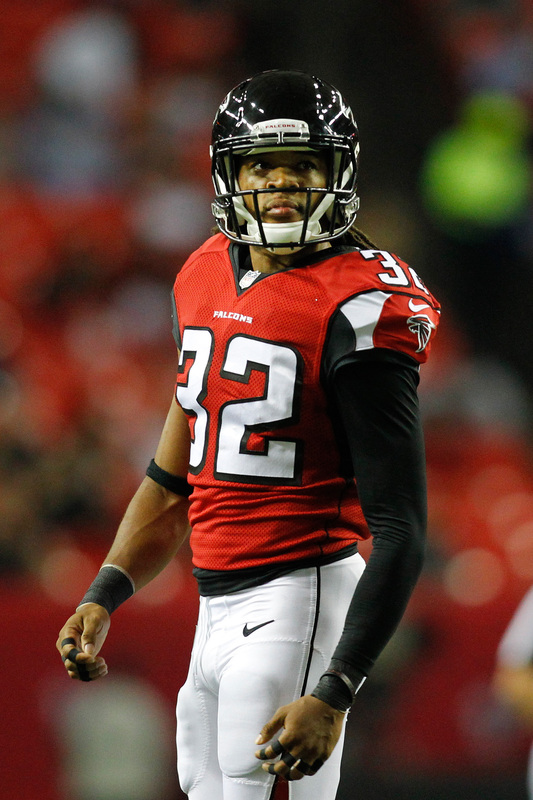 A 2015 second-round pick, Collins started eight games for the Falcons and played in 24. He started all three of Atlanta’s games in the 2016 playoffs, including Super Bowl LI. Collins incurred a four-game suspension in 2016. Both of his previous two bans were for performance-enhancing drug use. It hasn’t been specified what caused this latest suspension, but were it for PEDs, the penalty would be longer than 10 games. Cornerback Jalen Collins has gone unsigned since hitting the free agent market in November. Now, we know why. The former Falcon has been suspended for additional games by the NFL, according to Field Yates of ESPN.com (on Twitter). This marks the second ban of the year for Collins, who served a ten-game suspension to start the season. It’s not immediately clear what Collins’ latest suspension is for, but it may be a substance abuse violation. If this were a third ban for performance-enhancing drugs, it would be longer than four games. Collins appeared in eight games (six starts) for the Falcons last year. The 2015 second-round pick is viewed as a highly-talented player, but his off-the-field issues have hampered him thus far in the NFL. If not for his red flags, he likely would have been a first-round choice in 2015. He also might be a starting cornerback in Atlanta today. Once Collins is clear to play, he may draw interest from contenders looking to beef up the secondary. Then again, teams might be wary of bringing him into the locker room given his checkered past. The Falcons have waived cornerback Jalen Collins, as Ian Rapoport of NFL.com tweets. Collins will be subject to waivers, meaning that the league’s other 31 teams will have an opportunity to add him to the roster on Wednesday afternoon. Collins was set to return from a 10-game suspension this week. The former second-round pick is undeniably talented, but the Falcons are fed up after the 24-year-old’s second ban for performance enhancing drugs as a pro. Collins’ off-the-field issues date back to his days at LSU. In 2015, he was on course to be a first-round selection, but teams moved him down the board because of his red flags. After the draft, he admitted to failing at least three drug tests at LSU. Thanks to the aforementioned suspensions and injury, Collins has appeared in just 24 games since entering the league in 2015. Last year, Collins started in six of his eight games and hauled in two interceptions and 31 total tackles. His latest slip-up was unfortunate, but the Falcons were already planning to start a healthy Desmond Trufant and Robert Alford at cornerback. Over the summer, Collins found himself working with Atlanta’s third string CBs.